We are very happy to announce a new feature in NimonikApp.ca. If you’re team is using our system to manage your legal register, it is important to keep track of who is changing what and when. New laws come out, old laws are repealed and existing laws change. The account administrators can now see who has reviewed a change and who has signed off on it. This is one of many great new features we are developing in the coming months. 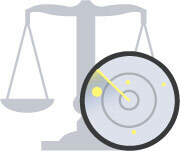 To create a free trial account for legal tracking go here.